Restaurant Le Jardin is a charming restaurant with truly exceptional cuisine. It’s elegant yet comfortable combined with it’s historic atmosphere and modern design. Seating 20 seats for more intimate affairs, Le Jardin can also suit larger gatherings with the inclusion of its 38 seat wine cellar and in season with its summer terrace offering an 45 additional seats. For the most extraordinary experience from your visit we recommend to dress smart-casually. 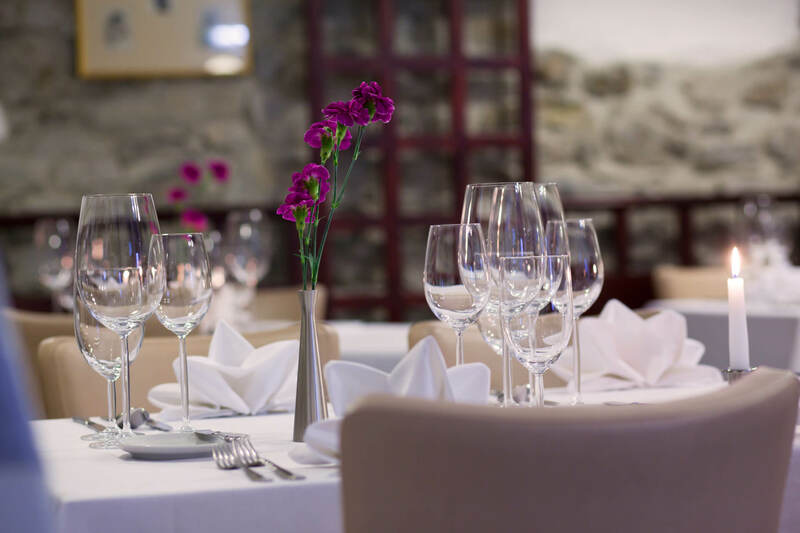 The wine cellar compliments the restaurant space of Le Jardin and is ideal for private parties, meetings, corporate events or other large gatherings. The wine bar can be rented with the restaurant or as a stand alone fuction space and has a capacity of about 40 people. There are not many n Český Krumlov places that offer such great atmosphere and exclusive environment. The summer garden and lounge is an intimate venue absolutely unique and unparalleled in Český Krumlov. A great place to enoy your free time during the summer months, the terrace seats up to 45 seats and is an ideal space for coctail parties or relaxing with our fantastic wine list.